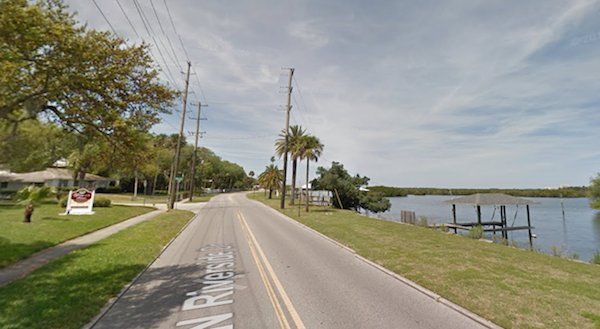 There is some very pleasant road running in the downtown area of New Smyrna Beach, about 2 miles inland from the beach, across the causeways. They can be run standalone, or combined for a longer run. Historic District. Downtown, the officially designated historic district consists of 312 buildings — including some lovely homes, and nice, tree-lined streets. The area is bound from Riverside Dr. west to Rt. 1 (Dixie Highway), and 1 mile from Smith St. in the south to Ronnoc Ln. in the north. One can put together a few miles on these pleasant streets (Live Oak, etc.). Note: We don’t recommend the causeways between New Smyrna Beach’s historic downtown and the beachfront downtown — they’re very busy and not pleasant for running.